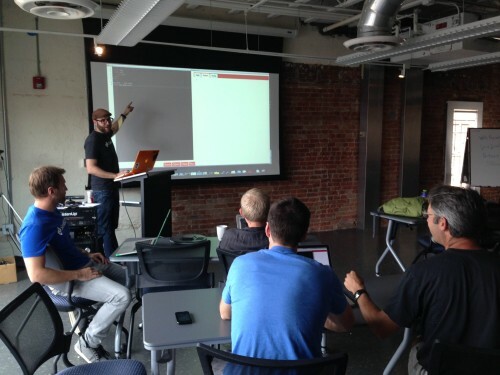 Every Wednesday and Thursday during lunch hour you can find me teaching an introductory programming class in one of SendGrid’s Colorado offices. More than once I’ve been asked about my reasons for volunteering to do this, which has led me to reflect on the Ruby community, the SendGrid culture and the value of being open with ideas and information. A year ago I was struggling as an industrial designer. There’s a vibrant maker community growing on the Internet, but the industrial design world is old school. If someone comes up with a new process or design, they either hold onto it tightly or charge you for the privilege of sharing. This makes staying atop the game both frustrating and expensive, and it really hinders collaboration. After spending a few years trying to help bring open source concepts to the realm of product design, I was burnt out. My brother, a long time programmer, kept telling me that the community I was trying to create already existed, and it centered around code. Finally, I listened. 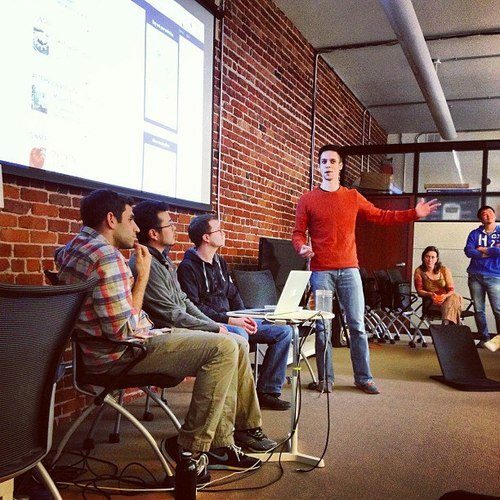 Last October I started learning to program at Dev Bootcamp in San Francisco. It was an intense 10 weeks, and during that time I got steeped in the sharing culture of the Ruby community. I had two professional mentors who volunteered for no other reason than they wanted to help spread the knowledge. It was a breath of fresh air. The Ruby community is all about sharing. There isn’t a week that goes by when you can’t attend a workshop or Meetup where someone is giving away the secrets of an awesome skill or tool they’ve spent years honing or creating. Even better, contrary to the beliefs of the entire industrial design community, these speakers, who aren’t paid for their presentations, are considered pillars of the community. And their careers thrive because of it. In March I was lucky to get my foot in the door with SendGrid. Dev Bootcamp prepared me well, but I still have a lot to learn. Fortunately, the culture of sharing is rampant within the doors of SendGrid, even in the non-development arenas. Want proof? Call our customer support and ask for help learning how to keep your email from coming across as spam; even if you’re not a customer, you’ll get the information you need. Working as a software engineer for a company that’s good to its employees, and getting to participate in the openness of the Ruby community, I’ve been seeking a way to give back. When I learned that a number of fellow ’gridders were interested in programming but didn’t know where to begin, I knew it was my chance. Volunteering to teach certainly hasn’t hurt my reputation at SendGrid, and it’s given me the chance to challenge my coworkers to figure out what they’re good at, and to join in the sharing.